For the past few years, I’ve been hearing that Washington’s water-quality standards are grossly out of date, especially when it comes to assumptions about how much fish people eat. Water-quality standards are a set of criteria used to determine when a body of water is “impaired” and to establish limits for discharges from industrial facilities and sewage-treatment plants. It was hard to understand how the Department of Ecology could assume that an average person was eating just 6.5 grams of fish a day. That’s less than a quarter-ounce. A typical meal of fish is commonly considered to be eight ounces (226.8 grams). So the assumption was that people were eating one meal of fish every 35 days. The water quality standards come from an equation established to ensure that if you consumed a certain amount of fish, then your health would be protected. So it would seem logical that if you ate more than that amount, your health might be at risk. That’s what got me started looking into the nuances of this discussion about water-quality standards and eating fish, especially fish from Puget Sound. The result was a two-part series published Sunday and Monday in the Kitsap Sun (subscription) — Part 1 and Part 2 — and reprinted with permission on the website of Investigate West — Part 1 and Part 2. I’ll talk about my new relationship with InvestigateWest at the bottom of this page, where I’ll also report on a new study about the protective effects of eating fish even when mercury levels are high. The first thing to understand about water-quality standards is that the state has been relying on an equation created by the Environmental Protection Agency. That equation resulted in water quality standards used since 1992 across the nation and still in effect for some states (PDF 429 kb). The problem was that the EPA has not updated the nationwide standards, known as the National Toxics Rule, even while the federal agency has been pushing for states to come up with their own standards. Obviously, the fish consumption rate was no longer valid, if it ever was. State and federal guidelines call for people to eat at least two or three meals of fish each week for health reasons. It is not uncommon for Native Americans to eat a meal of fish or more each day. Protecting the treaty rights of tribal members, which includes safely eating fish from their “usual and accustomed areas,” is a responsibility of the state and federal governments, I’m told. Fish consumption is not the only issue, however. Other factors in the equation are also out of date. The EPA has updated estimates of toxicity for many of the 100 or so chemicals for which water-quality standards are listed. The weight of a person’s body in the equation also was changed. Perhaps the most controversial change in the formula, as proposed by Gov. Jay Inslee, is to increase the cancer risk rate for human health from 1 in a million to 1 in 100,000. I won’t go deeper into the calculation here, since you can read my story for more details, or look into the state’s “Overview of key decisions in rule amendment” (PDF 6.4 mb). But understand that all the assumptions taken together changed the final number for each of the 96 chemicals under review for Washington state. Also note that the vast majority of these chemicals are not even detectible in fish down to parts per billion. Under Inslee’s proposal, the final number generated by the equation would be the new water-quality standard for a chemical if the number were lower (more protective) than the existing standard. For chemicals in which the number was higher (less protective), the old standard would remain. The result was that 70 percent of the standards would become more stringent under Inslee’s proposal and 30 percent would stay the same, according to Ecology officials. To see the proposed changes between the old and new standards and whether the change in cancer risk would make a significant difference, check out “Human Health Criteria Review Documents” (PDF 2.9 mb). Out of the 96 chemicals on the list, two create the greatest concerns for human health in Puget Sound waters. They are polychlorinated biphenyls (PCBs) and mercury. For these chemicals, Inslee’s proposal would keep the water-quality standards the same. 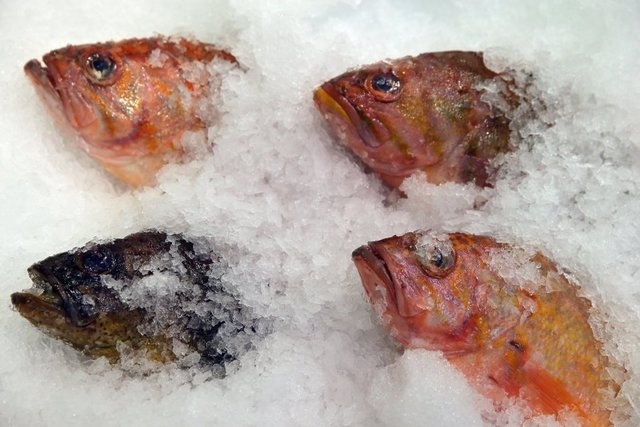 This is controversial, but his thinking is that these chemicals are widespread in the environment, and reducing their concentrations in effluent would have little effect on improving the safety of fish. The governor has proposed a separate planning process with funding from the Legislature to track down and reduce the sources of pollution that cause the greatest health concerns — including some chemicals not on the EPA’s list. Eating fish is especially important for pregnant mothers and young children, as I described in the first part of the series. Omega-3 fatty acids found in fish tissue are considered essential for the proper development of the brain and neurological system, including memory and performance, as well as other health effects. Health advisories tend to balance the beneficial effects of eating fish with the risks of getting too much PCBs, mercury and other harmful chemicals. The goal is to choose fish that are relatively low in toxic chemicals, knowing that practically all fish, meats and dairy products contain some contaminants. A new study in the Seychelles, an island country where people eat a lot of fish, suggests that polyunsaturated fatty acids in fish may provide some protection against the health risks of mercury, including neurological problems. Because the findings are so new, I chose to stick to the standard health advisories in my Sunday story. Laura Riley, medical director of labor and delivery at Massachusetts General Hospital in Boston, said the advice to limit fish intake may not be warranted after all. But she is not ready to drop the cautionary approach, according to a story by Dennis Thompson of HealthDay magazine. As most of you know, I have retired from the staff of the Kitsap Sun, but I’m still writing this blog and occasional stories for the newspaper, including the two-part series this week. I was recently asked by InvestigateWest, a nonprofit journalism group, to cover some environmental issues being debated in the Washington Legislature. I started this new assignment this week and expect to continue coverage to the end of the legislative session. My work is being funded through a crowd-sourcing website called Beacon. All contributions are appreciated.